Behold! The miracle of life packed into cubes. 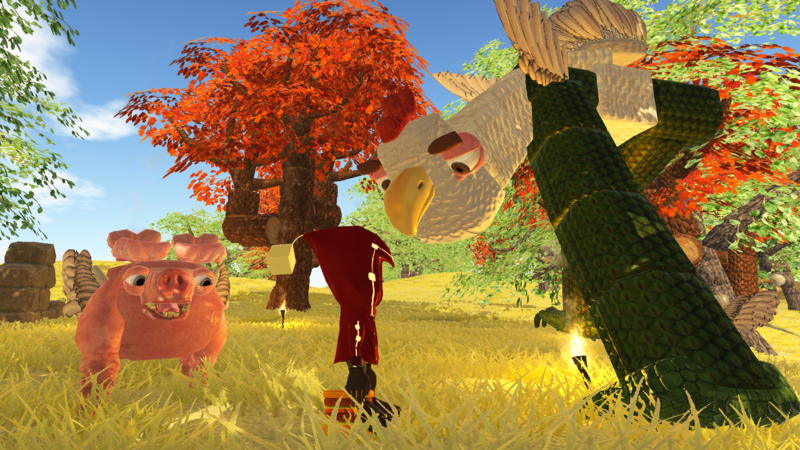 CHKN is an open world sandbox game where life itself is your strongest tool. Bring creatures to life by assembling them from body parts, each packed with its own special sauce. Cook up whatever creatures you want and don't be surprised if your creation has a mind of its own. With Creative, Adventure, and Multiplayer modes, there is an abomination for everyone. Unique AI (aka the Special Sauce): You have the power to bring creatures to life by slapping blocks together, in whatever shape, size, or combination you want. These blocks of intelligent life give your creature unique personalities based on the combinations you make. No two creatures are alike...unless you make them alike. In which case, an egg will pop out of one of them. Even if it's a cat. Because SCIENCE. Creature Interaction: Creatures have all the feels and they're not afraid to express them. Sad eyebrows? Your creature might be lonely. Happy smiles and farts? Your creature loves you for feeding them hamburgers. If a creature is snarling and running at you, then it's probably too late - you're dead. Survival Tactics: You and your creature are starving to death. Do you feed your creature the last of your apples? Or do you cook your creature into a burger to feed yourself!?? Too much? OK. 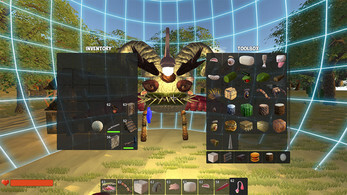 Creatures will work better than tools at collecting resources and protecting your homestead. They're better at fighting and cutting down trees than you are, so you'll definitely want them on your side. BUILD ALL THE THINGS! : Build a house! Build a farm! Build a three-headed, five-footed, llama-rantula-pus! 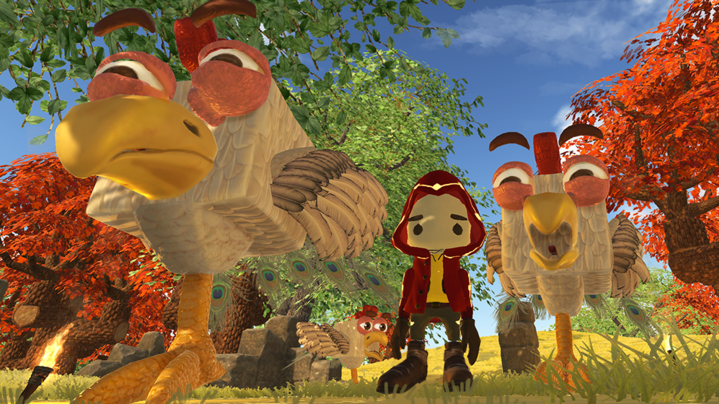 With your creatures' help, break apart your surroundings to craft tools and structures. Craft beds made of chicken parts and farm the land in order to survive and thrive. 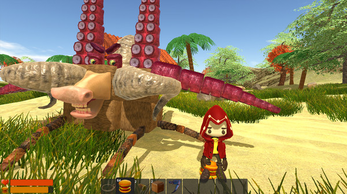 Adventure, Creative and Multiplayer Modes. Modes on modes on modes. Burps and farts. Need we say more? This is an Early Access game, which means it's a little chick growing with every build. Remember raising them in school? Well, we're that little chick under the heat lamps, confused about why we're standing in sawdust with kids staring down at us. But seriously. We're just beginning with CHKN and we want you along for the ride. It's going to be crazy and weird, but we're going to involve you in any way possible, whether it's asking for advice, testing out new features, or just showing us your ridiculous creations! We love hearing from you guys. Team CHKN is just a tweet, email, comment, or a very loud scream away. There will be bugs and there will be issues. Keep that in mind before you play. Additional creatures with advanced abilities; flying, poison, heat resistance, etc. 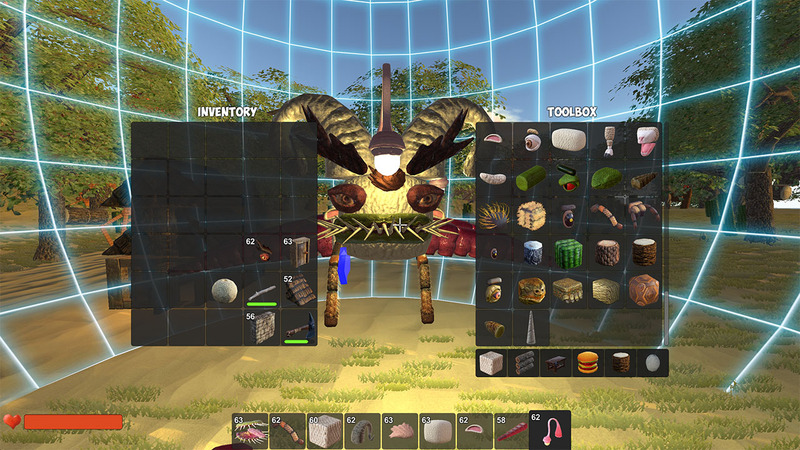 Improved AI; dogs can guard houses, ants can follow scents, night vision, etc. Improved Multiplayer Mode with dedicated servers. Much larger world, with additional biomes and points of interest. 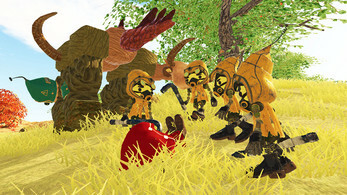 Social sharing; share worlds and creatures with your friends! For press inquiries please contact heychkn@katapultstudio.com. If you'd like to make a YouTube video or stream on Twitch, you have permission to. 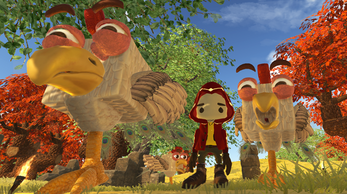 Tweet your video to us @chkngame.